One day I was looking around for the Jagged Alliance 2 soundtrack when I stumbled across Kevin Manthei's page. Kevin Manthei is a composer who has scored music for film, television and, of course, games. Besides Jagged Alliance 2, he has scored music for Disney Infinity, Star Trek Online and Wizardry 8. When I saw that a combined Wizardry 8 / Jagged Alliance 2 album was available, I just had to get my hands on it. In retrospect though, I probably should've spent a bit more time checking out what tracks were actually included since I immediately assumed all tracks were and while that may be the case for Wizardry 8, it definitely wasn't the case with the Jagged Alliance 2 tracks since it's missing my favourite track from the game - which I have no idea what's it called but you know, it's that cool, 80s action film music you hear while browsing the laptop. Yeah that track isn't included. How could you not include the coolest track in the game? (Okay it turns out that Scott Daughtrey also composed music for Jagged Alliance 2 so maybe that's why it's not included in this soundtrack). Anyway, back to my story. So I ordered the physical CD copy of the game which is $18 USD + $4 USD for international shipping and handling and a few months later, I finally received the CD in the mail. The CD contains 33 tracks: 21 tracks are from Wizardry 8 and 12 tracks are from Jagged Alliance 2. While there seems to be a lot of tracks on this album, keep in mind that the longest track just clocks over 2 minutes long so while you'll be listening to a lot of tracks, there are many that tend to be of short duration. 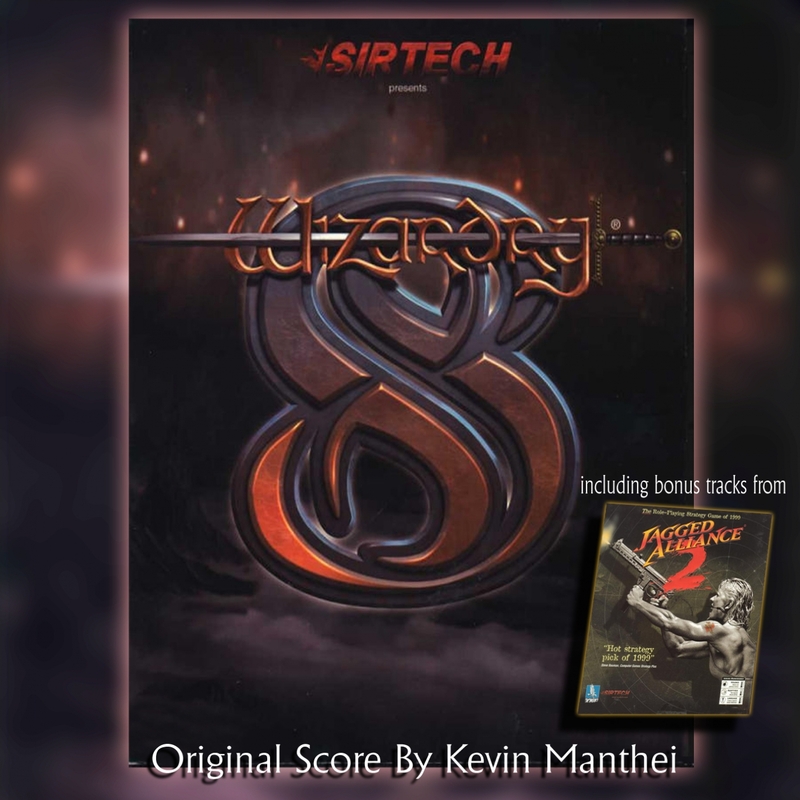 Okay so let's start with the Wizardry 8 music which is the bulk of this album. Most of the music is exploration music as well as several variations of combat music ([sarcasm] and you know how much I love combat music in video game albums [/sarcasm]) . My favourite track out of the Wizardry 8 tracks has to be "Arnika Theme" which plays when you're in the main town of Arnika. There's something about the medieval feel to the track and the calming nature of the harp that makes this track stand out from the rest. Other favourites of mine include the calming lute(?) music that plays when you're resting, simply called "Camping Theme" (although it's way too short), the mystical Asian cymbals and chanting in "Character Creation", the chimes and chanting, as well as some choice piano, in "T'Rang", and finally even more chanting and a tribal feel to "Trynton". I also have a soft spot for the marching theme that is used for the "Umpani" as well as "Underground" since it reminds me of the Diablo soundtrack. "Win Combat Tag 1","Win Combat Tag 2","Win Combat Tag 3" and "Lose Combat Tag" are a waste of time though since they are basically just short clips of audio that plays when you either win or lose combat. Okay so the second part of the album has tracks from Jagged Alliance 2 and once again, it turns out I'm not actually a big fan of the combat music which is what most of the Jagged Alliance 2 tracks on this album are. Again, you can forget about the short audio clips "Death" and "Triumph" altogether as they're terribly short and are only meant to signify you've lost a battle or won one respectively. The only worthwhile tracks to listen to are the peacetime/map screen tracks which have got very imaginative titles like "Nothin' A", "Nothin' B", "Nothin' C" and "Nothin' D". My favourites would have to be "Nothin' A" which wouldn't be out of place in a montage with a platoon preparing for battle, "Nothin' C" which has an 80s action film feel to the music and "Nothin' D" - probably my favourite out of the Jagged Alliance 2 tracks, only because a chap named Bart Klepka made an awesome remix of it called "Soldiers of Fortune". You should definitely check it out. 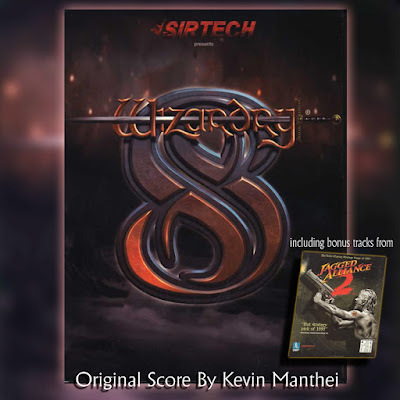 If you're a fan of Kevin Manthei's work and really, really, really love Wizardry 8, by all means get this soundtrack, otherwise, while there are some good tracks in this album, I ended up liking a lot of them merely because of nostalgia and not on their own merits. Or maybe I'm just peeved that the cool laptop music wasn't included in the album, but that's nobody's fault but my own :).